High-quality keyboard dust cover for KAWAI 410 T. Available in Microfibre, Polyester or Synthetic Leather. High-quality keyboard dust cover for KAWAI CL 26. Available in Microfibre, Polyester or Synthetic Leather. High-quality keyboard dust cover for KAWAI CL 36. Available in Microfibre, Polyester or Synthetic Leather. 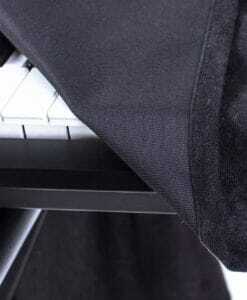 High-quality keyboard dust cover for KAWAI Es 1. Available in Microfibre, Polyester or Synthetic Leather. High-quality keyboard dust cover for KAWAI Es 100. Available in Microfibre, Polyester or Synthetic Leather. High-quality keyboard dust cover for KAWAI Es 3. Available in Microfibre, Polyester or Synthetic Leather. High-quality keyboard dust cover for KAWAI Es 4. Available in Microfibre, Polyester or Synthetic Leather. High-quality keyboard dust cover for KAWAI Es 5. Available in Microfibre, Polyester or Synthetic Leather. High-quality keyboard dust cover for KAWAI Es 6. Available in Microfibre, Polyester or Synthetic Leather. High-quality keyboard dust cover for KAWAI Es 7. Available in Microfibre, Polyester or Synthetic Leather. High-quality keyboard dust cover for KAWAI Es 8. Available in Microfibre, Polyester or Synthetic Leather. 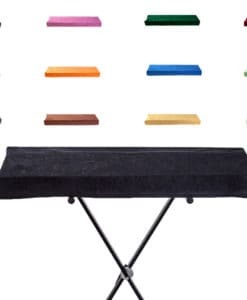 High-quality keyboard dust cover for KAWAI Juno Stage. Available in Microfibre, Polyester or Synthetic Leather. High-quality keyboard dust cover for KAWAI K 1. Available in Microfibre, Polyester or Synthetic Leather. High-quality keyboard dust cover for KAWAI K 4. Available in Microfibre, Polyester or Synthetic Leather. High-quality keyboard dust cover for KAWAI Mp 10. Available in Microfibre, Polyester or Synthetic Leather. High-quality keyboard dust cover for KAWAI Mp 11. Available in Microfibre, Polyester or Synthetic Leather. High-quality keyboard dust cover for KAWAI Mp 4. Available in Microfibre, Polyester or Synthetic Leather. High-quality keyboard dust cover for KAWAI Mp 5. Available in Microfibre, Polyester or Synthetic Leather. High-quality keyboard dust cover for KAWAI Mp 6. Available in Microfibre, Polyester or Synthetic Leather. High-quality keyboard dust cover for KAWAI Mp 7. Available in Microfibre, Polyester or Synthetic Leather. High-quality keyboard dust cover for KAWAI Mp 8 II. Available in Microfibre, Polyester or Synthetic Leather. High-quality keyboard dust cover for KAWAI Mp 8. Available in Microfibre, Polyester or Synthetic Leather. High-quality keyboard dust cover for KAWAI Mp 9000. Available in Microfibre, Polyester or Synthetic Leather. High-quality keyboard dust cover for KAWAI Mp 9500. Available in Microfibre, Polyester or Synthetic Leather. High-quality keyboard dust cover for KAWAI Vpc 1. Available in Microfibre, Polyester or Synthetic Leather.